Skiing past hurdles can be a problem when you're a penguin that doesn't know its over, under, and in between. 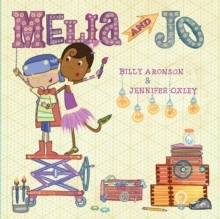 Peg and Cat fans will race to this wacky, wintry picture book! "One, two, three, four! We're the Penguins - watch us soar!" 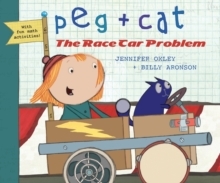 This sporting picture book begins with Peg and Cat preparing to watch the ski race at the Animal Winter Games at the South Pole. Suddenly they spy the Penguins zooming downhill. CRASH! 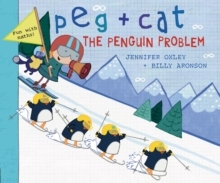 Peg and Cat soon see the root of the problem: the Penguins don't know what over, under, and in between mean! 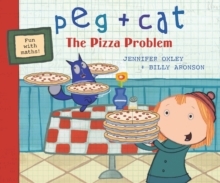 Can newly appointed Coach Peg and Assistant Coach Cat teach the Penguins in time for the competition?